← How to merge more EMF files into one multipage PDF file? I noticed that PDFPrint has reached v7, while we are still working with 3.8.0.1. I cannot find anything of a release log on the site, I know it by downloading the Trial Version. The reason why I did was because we're having trouble with pdfprint changing printer settings when using 'copies' and 'setcopyto'. A new parameter has been introduced: 'nochangeprintersettings'. Is this default active? Can we still print to a specific tray, with duplex, orientation, copies (+setcopyto) when 'nochangeprintersettings' is active? This is not clear, but I can only hope so. We're willing to pay another developer license for this version only if it's a step forward in pdfprint not changing the default printer and his settings cause this causes a lot of trouble. >>The reason why I did was because we're having trouble with pdfprint changing printer settings when using 'copies' and 'setcopyto'. A new parameter has been introduced: 'nochangeprintersettings'. Is this default active? >>Can we still print to a specific tray, with duplex, orientation, copies (+setcopyto) when 'nochangeprintersettings' is active? This is not clear, but I can only hope so. We're willing to pay another developer license for this version only if it's a step forward in pdfprint not changing the default printer and his settings cause this causes a lot of trouble. If you encounter any problem with above command line, please feel free to let us know, we are glad to assist you asap. 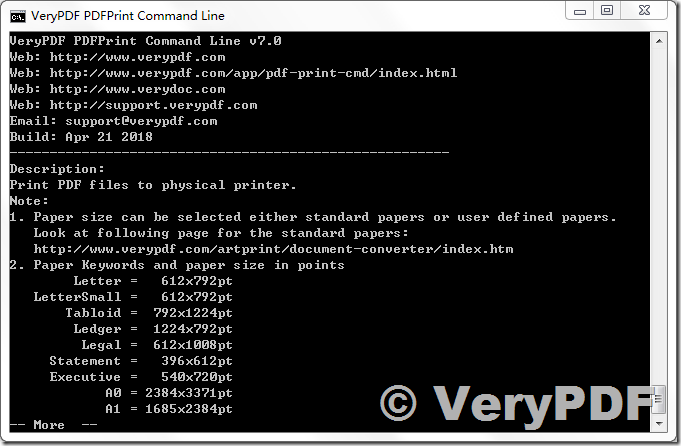 How to print PDF using high horizontal resolution via command line?